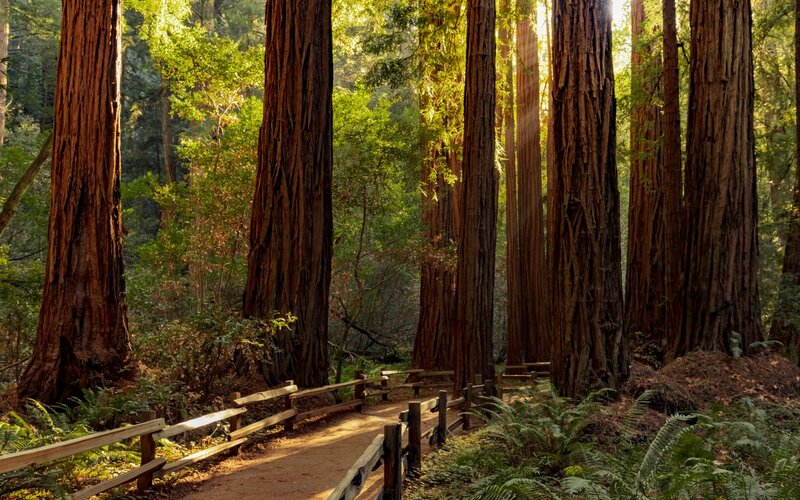 Muir Woods National Monument is part of California’s Golden Gate National Recreation Area, north of San Francisco. 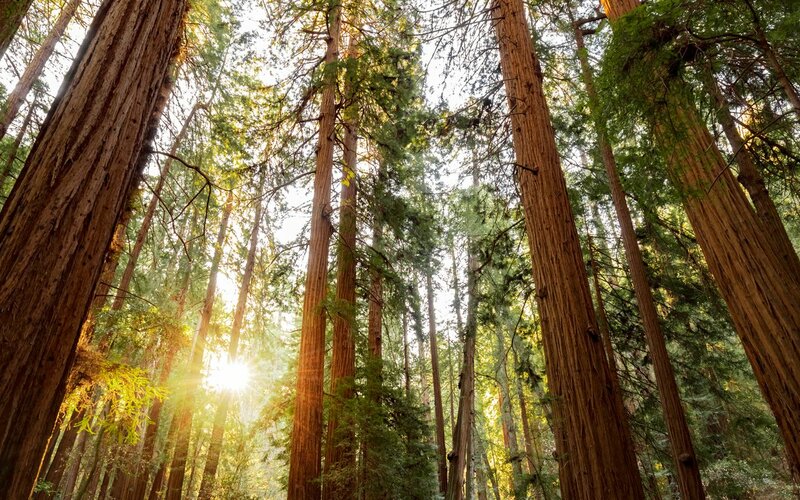 It’s known for its towering old-growth redwood trees. Trails wind among the trees to Cathedral Grove and Bohemian Grove, and along Redwood Creek. The Ben Johnson and Dipsea trails climb a hillside for views of the treetops, the Pacific Ocean and Mount Tamalpais in adjacent Mount Tamalpais State Park. To improve your experience and better protect the park, the National Park Service has launched a parking and shuttle reservation system. 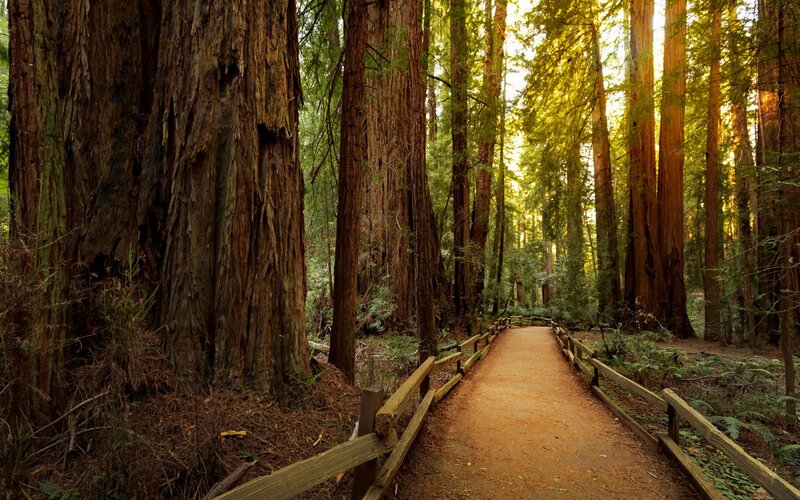 To book your trip to Muir Woods visit GoMuirWoods.com or call 1-800-410-2419. We reserved our parking spot about 2 weeks ahead of time and were able to choose from several time slots. On the way there, we saw a sign saying all spots were taken for the day. You MUST have a parking spot to see this attraction. It is one of a kind experience. 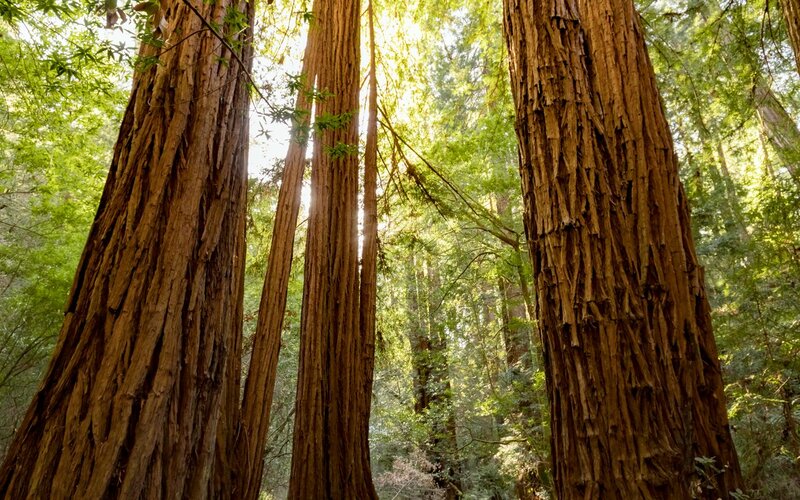 Pets are not permitted in Muir Woods National Monument.